Virtual reality is not a new phenomenon. From dioramas to panoramas, the allure of being enveloped in a place or tableau outside of one’s reality has mass appeal considering the popularity of virtual reality technologies such as the Oculus Rift and the HTC Vive. Through 360 filmmaking and photography, the creation of space within the virtual realm has become commonplace. From journalism to entertainment purposes, while virtual worlds enable a new way of seeing fantastical worlds, artists and designers must consider format and aesthetics. In the second part of a two-part series, Not Your Average Playtest, I look at how artist Veronica Graham translates her drawings and paintings into digital architectures within the virtual world. She also touches upon how she must reconcile physical and digital perception to create immersive experiences. Veronica Graham is an Oakland based visual artist primarily working in print and digital mediums. Inspired by today’s rapidly changing environment, she sees her art practice as a form of world building. Each work is the creation of place or artifact, calling attention to how fiction is weaved into our reality. In 2012 she founded Most Ancient, a design studio focused on small press and digital production. Her books have been collected by SFMoMA, MoMA, The New York Public Library, The Library of Congress, Stanford University, Yale University, and other public and private collections. Graham has received grants from Kala Art Institute and Women’s Studio Workshop. She is now designing virtual worlds and her first VR project called “The Muybridge Mausoleum” was completed in 2017 for the HTC Vive and Oculus Rift platforms. In addition to her own practice, Graham is an active member on SFMoMA’s Games Advisory Board and an arts educator who has taught at San Francisco Art Institute, Southern Exposure, and Creativity Explored. 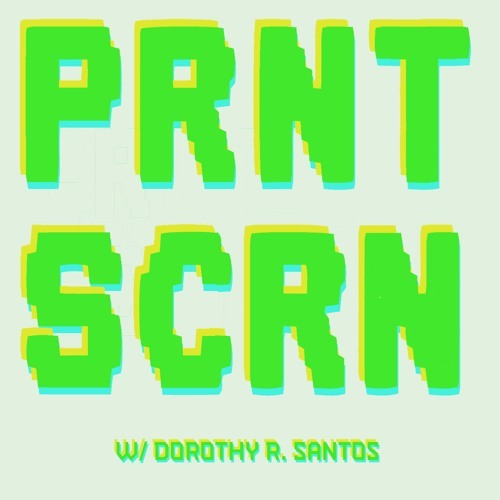 -- Subscribe to Art Practical on iTunes to catch PRNT SCRN as soon as it publishes! Check us out on Instagram (@prnt_scrn_ap) and Twitter (@PRNTSCRN1). #APaudio.